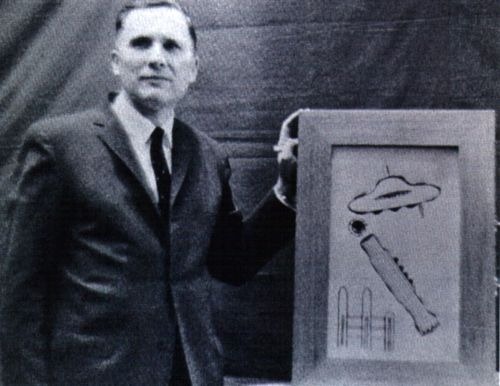 The man who brought the ufo silencers, the men in dark clothing, into modern consciousness, Albert K. Bender, 94, died on March 29, 2016, in California. 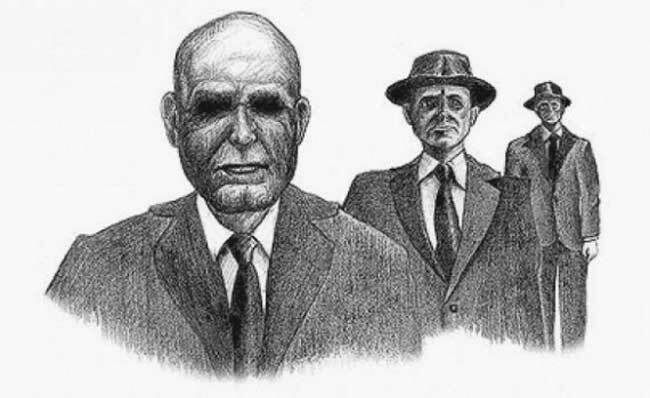 “Men in Black” (MIBs) are what appear to be male humans dressed in black suits who claim to be government or paramilitary (or even alien) agents and who harass or threaten UFO witnesses to keep them quiet about what they have seen. From portrayals in The X-Files, appearances in movies, references in popular culture and points of debate in UFO conspiracy theories, the MIBs have become part of our 21st Century culture. 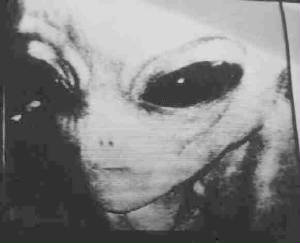 In early September 1953, Bender, who is acknowledged as one of the first pioneers of UFO research, was visited at his home in Bridgeport, Connecticut, by three men dressed in black who warned him in threatening terms to cease his investigations or else. 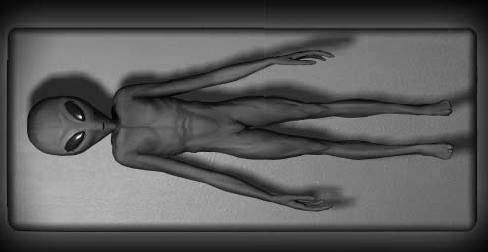 The “silencers,” as he called them, scared Bender to the point where he did not publish a report he said was going to answer all the mysteries of the UFO question. Instead, Bender left a warning: “We advise those engaged in saucer work to please be very cautious.” Bender’s organization – the IFSB – closed down. 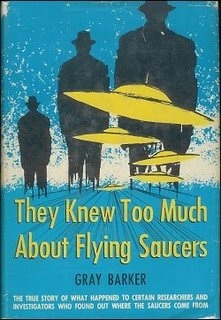 After pressing Bender for more details about the “whys” behind the shutdown, Barker wrote his first book, They Knew Too Much About Flying Saucers, which was published by University Books in 1956. 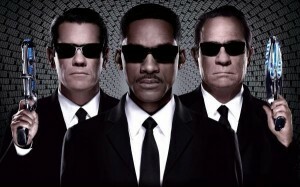 The book was the first to describe the Men in Black (MIBs). 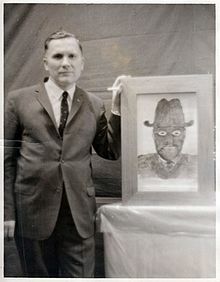 Barker recounted Bender’s own alleged encounters with the MIBs, who were said to travel in groups of three, wear black suits, and drive large black automobiles. 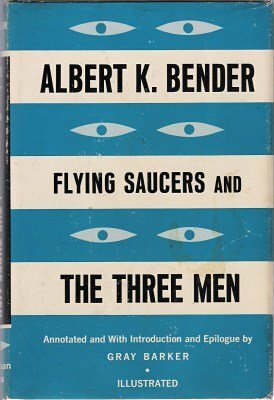 In 1962, Barker and Bender collaborated on a second book on the topic, called Flying Saucers and the Three Men. Published under Barker’s own imprint, Saucerian Books, this book proposed that the MIBs were, themselves, extraterrestrials. 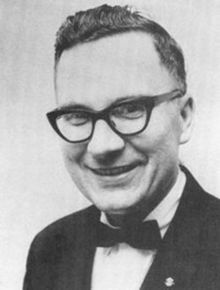 These “ufo silencer” experiences of this one individual, Albert K. Bender, promoted in later years by Gray Barker (May 2, 1925–December 6, 1984), created an enduring legacy beginning over 60 years ago – the MIBs. Besides Bender and Barker, Men in Black researchers and writers have included the late John A. Keel, Jerome Clark, the late Jim Keith, and Nick Redfern. 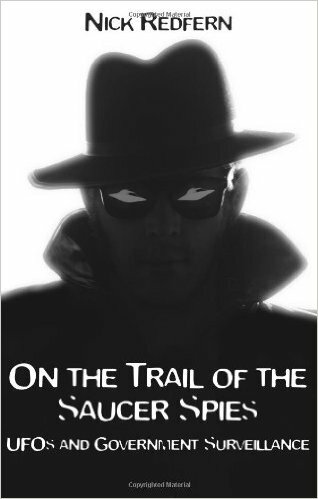 Nick Redfern, who passed on the news of Bender’s passing to me, has written many books on MIBs, including his 2006 book, On the Trail of the Saucer Spies: UFOs and Government Surveillance (which contains information on Bender). 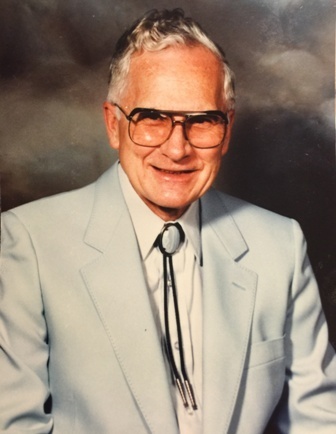 Now Albert K. Bender has passed away. 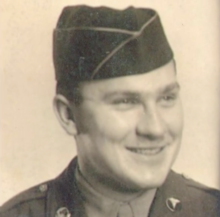 Bender was born on June 16, 1921, and served in the United States Air Force during World War II. 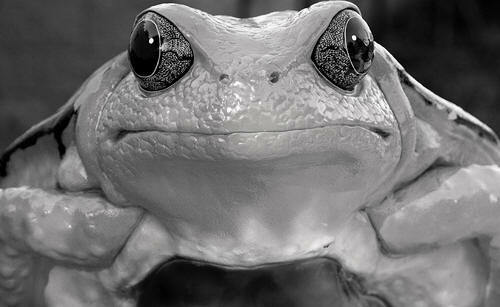 In Bridgeport, Connecticut, he was a supervisor at the Acme shear factory. After Bender’s 1962 book was published, and before Bender moved to Los Angeles, in 1965, while in Bridgeport, Bender started the Max Steiner Music Society, which was later renamed the Max Steiner Memorial Society, dedicated to the famed music composer of theater and film hits. Steiner (May 10, 1888 – December 28, 1971) composed over 300 film scores, and was nominated for 24 Academy Awards, winning three: The Informer (1935), Now, Voyager (1942), and Since You Went Away (1944). Steiner’s popular works include King Kong (1933), Little Women (1933), Jezebel (1938),Casablanca (1942), The Searchers (1956), A Summer Place (1959), and Gone with the Wind (1939), the film score for which Steiner is best known. Thanks to Albert Bender’s Max Steiner Memorial Society, collections of Steiner’s music have been preserved, discussed, and disseminated. 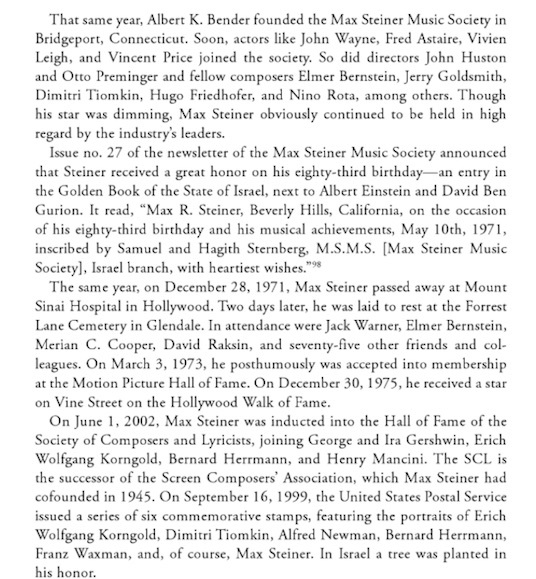 Bender’s Society was responsible for obtaining a Hollywood Walk of Fame Star for Max Steiner, as well as Steiner’s name being written in the Golden Book of the State of Israel. Bender’s Steiner collection was donated to the Brigham Young University manuscript collection. 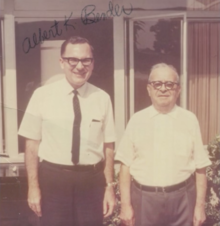 Albert K. Bender and Max Steiner. 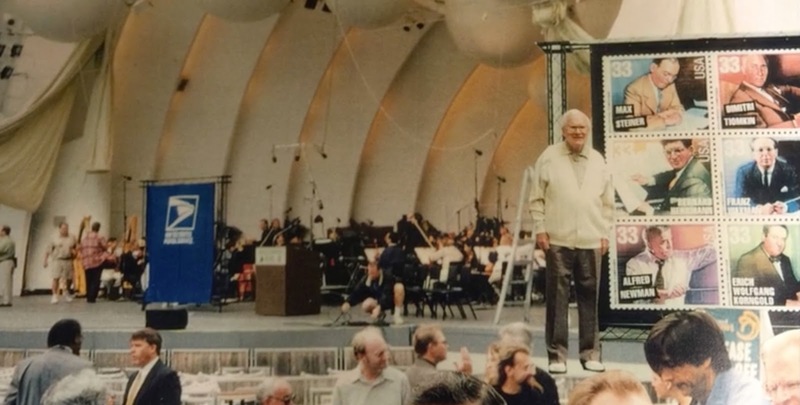 Albert K. Bender at the announcement of the Max Steiner commemorative stamp, 1999. At the time of his death, Bender was residing in Los Angeles, and his funeral was held in Manhattan Beach, California, on April 9, 2016. 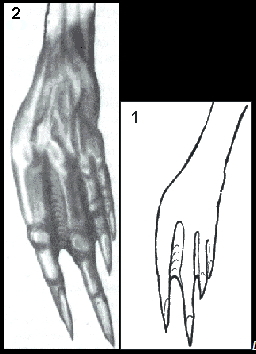 His known sibling survivors are Fred Bender, Shirley Audugar, and Joseph Kevlin. 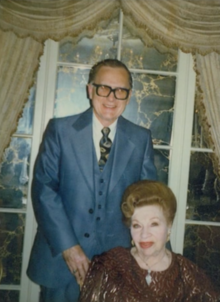 Albert K. Bender and his wife. 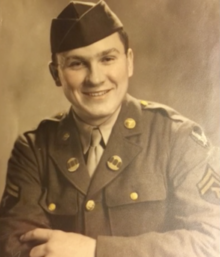 The only known recording of Albert K. Bender can be found here. He also wrote a volume of recollections, Five Slices of Life: A Collection of Short Stories. 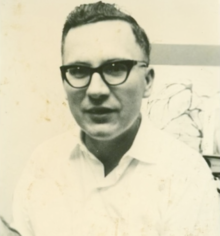 death of Albert K. Bender at Mysterious Universe.